Magnesium is a mineral essential to health that is found inside bones and the cells of organs and tissues. The mineral is necessary for more than 300 bodily reactions; it works to maintain nerve and muscle function, regulate heart rhythm, blood sugar and blood pressure, and keep the immune system and bones strong. Magnesium also plays a role in protein synthesis and energy metabolism, and it may help prevent or treat cardiovascular disease and diabetes. Many factors can increase or decrease the absorption of magnesium in the small intestines, preventing or causing deficiency. 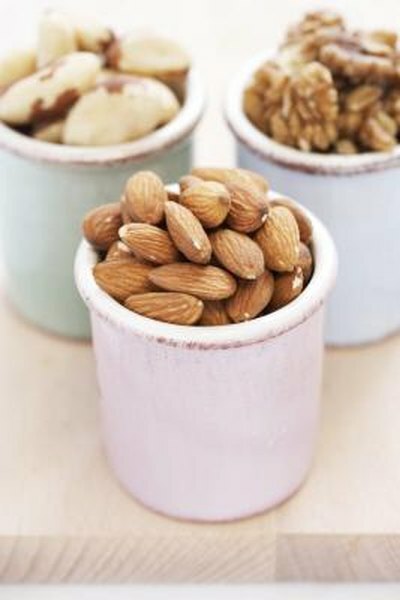 Eat a balanced diet that contains a variety of magnesium-rich foods. Green vegetables, legumes, whole grains, nuts and seeds are good sources of the mineral. A varied diet helps ensure proper mineral absorption. Treat gastrointestinal disorders that impair magnesium absorption, such as Crohn's disease, to prevent deficiency. Because magnesium is absorbed in the intestines, any disorder that affects the intestines may also affect magnesium absorption. Take supplemental magnesium in the form of magnesium citrate, magnesium lactate or magnesium gluconate, as these forms are more easily absorbed into your body than other forms of the mineral, according to the University of Maryland Medical Center. Use a time-release form of magnesium to further improve absorption, if your doctor approves. Supplement with B-complex while taking magnesium, as vitamin B6 levels help determine magnesium absorption rates. If you are deficient in B6, treat that deficiency before or in combination with magnesium deficiency. Speak with your doctor about your calcium levels. Magnesium and calcium compete for absorption, and you may need to monitor your levels of both minerals while supplementing with magnesium. Adolescent and adult males need 400 to 420 mg of magnesium per day, while adolescent and adult females require 310 to 360 mg per day. Pregnancy and breastfeeding increasing the need for magnesium.